Companies are faced by a great challenge: acting as efficiently as possible. Material flows and intralogistics processes must be optimally coordinated with each other at all times. If there is a problem at one point, this impacts the entire value chain – and thus also competitiveness. 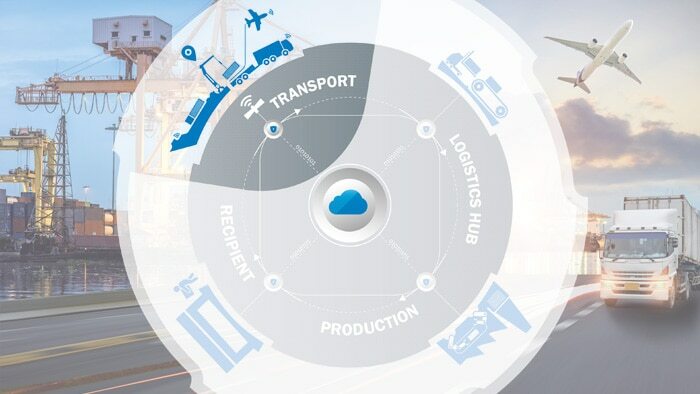 Intelligent sensors and networked systems ensure efficient logistics processes as part of Industry 4.0. Data is collected and processed in real time. This then forms the basis for decisions in autonomous and controlled processes. Practical: the continuous traceability of goods and processes in combination with intelligent systems allows processes to be optimized independently. Material stores that record their inventory in real time and order stocks for replenishment. Shuttles that coordinate orders and routes with each other. Or transport systems that organize their routes independently: Such complex systems require high-performance products and technologies to function reliably. As one of the leading manufacturers, SICK offers mature sensor and software solutions that ensure greater safety, flexibility and efficiency in many areas – throughout the entire value chain. Networking is the basis for greater flexibility in the value chain. 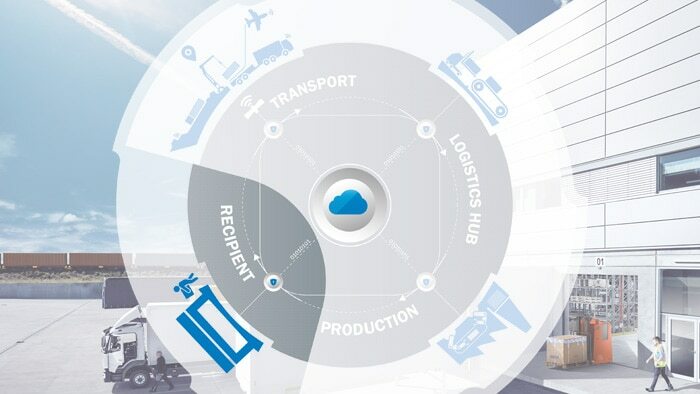 It allows logistics processes to be controlled and optimized in real time using data-based Smart Services. Networking does not end at the factory gate, however. Processes can be globally networked, synchronized and coordinated via the Cloud. 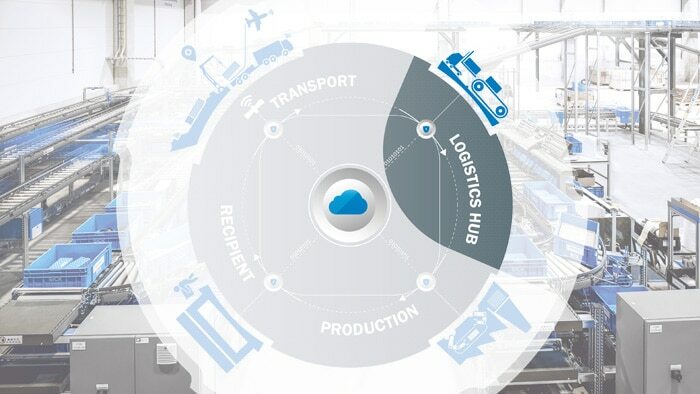 There are many different ways of realizing continuous networking of logistics processes. A programmable Sensor Integration Machine (SIM) or the TDC gateway system can bundle and transmit different data signals, which are then processed on local servers or via the Cloud service. As a founding member International Data Spaces Association (IDSA), SICK attaches great importance to data sovereignty. Each company must have full control over its data and have sole decision-making authority about what happens to the data. SICK also supports secure data exchange between cooperation partners. Whether in a container terminal, during rail transport, in warehouses or at airports: track and trace systems ensure continuous goods tracking. Driver assistance, movement monitoring and safety systems ensure problem-free transport. In port logistics, for example, terminals and transport processes are largely automated and follow defined rules. A large number of sensors are used to minimize the risk of collisions and damage to freight and port equipment. These detect containers, measure distances and protect transport vehicles, for example. Vehicle protection is also becoming increasingly important in the industrial environment. Camera, RFID and laser technologies ensure reliable collision protection of manned and automated guided vehicles and permit effortless load handling. These technologies are also used for tracking cars on freight trains or for partial automation of aircraft pushback. The result is high transport vehicle availability, which in turn ensures short transport times without misrouting as well as improved working conditions for employees. Warehouse logistics and freight centers are two areas in which automated solutions offer great potential for more efficiency and higher throughput. This is due to the vastly accelerated speed of goods handling as well as increasing storage and area costs. Goods must be transported from A to B faster than ever before – and recipients penalize incorrect shipments. In the courier, express, parcel, and postal sector (CEP), success depends on two main factors: throughput and sorting accuracy. Track and trace systems reliably measure and identify parcels even at high speed. The shipping costs can be determined on the basis of the dimension data if required. Track and trace systems – installed on conveyor belts, for example – therefore provide transparency throughout the supply chain. The Package Analytics software from SICK also offers the possibility of monitoring systems and keeping an eye on their performance. This ensures traceability and also allows the accuracy and efficiency of sorting processes to be improved – whether on a conveyor belt, in a freight center or in the overall network. In complex warehouse systems, sensor solutions ensure optimum storage space assignment and accident-free handling by transport shuttles. Integrated cameras and photoelectric sensors automatically detect objects, monitor possible overruns and position the shuttles precisely in front of the shelf bays. Safe and efficient. 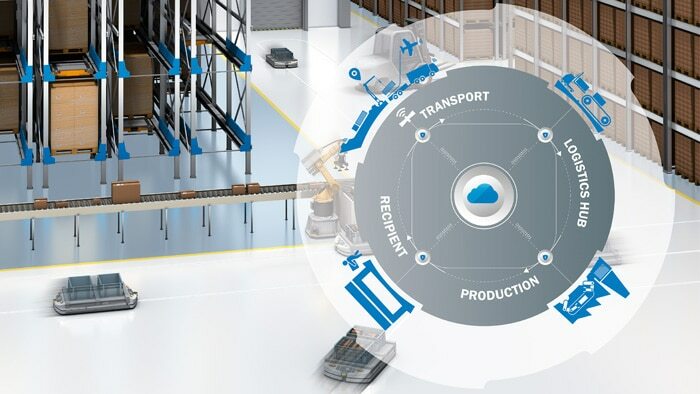 Automated pallet handling and picking using robot solutions are no problem with SICK sensors – these processes become part of an optimally networked industry environment with corresponding data streams. Sensor-assisted solutions are also becoming increasingly important in production. In addition to efficiency, autonomous processes often also increase safety and quality. Whether automated guided vehicles (AGV) or tugger trains: production supply with new parts and return of empty containers are highly efficient and flexible with these mobile platforms. Thanks to the latest RFID and code reading technologies, flexible and fast detection processes can be realized for loading and unloading operations for practically all kinds of goods. LiDAR sensors, cameras and radar sensors make automated and semi-automated guided vehicles or even manned vehicles safer in production. Obstacles on routes are detected and avoided immediately. Material handling in production is made easier: location tracking sensors, e.g. based on UWB or LiDAR technology, provide full transparency for all important objects in production. Through automated orders for containers from kanban shelves or just-in-time material transportation by robots and cranes. Smart infralogistic solutions save time, handling and manual material requests. Whether pharmaceutical packaging or machine components: individual track and trace solutions with SICK sensors allow individual objects to be unambiguously identified and their path to be continuously traced through all production steps. Every item has a recipient – whether a part for an employee in production, or a parcel that is delivered to a customer by courier. 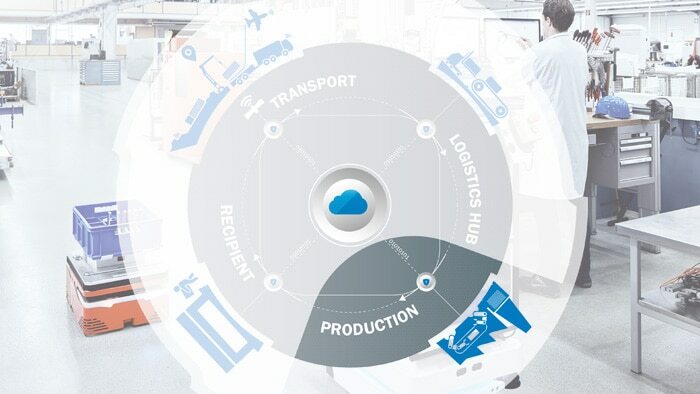 Processes are made transparent with smart logistics. The recipient learns in real time where the transported item is currently located and when it will probably arrive. When a component arrives, it can be easily booked into the recipient´s system via the track and trace system. Continuous traceability is also guaranteed across several stations. Data protection and data sovereignty are of central importance for both sender and recipient. Data exchange takes place exclusively between trusted partners. This means that every company has full control over who is allowed to access what data. 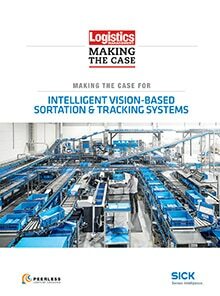 Download this new "Making the Case" guide to learn how using intelligent, vision-based readers and sensors can capture the information you need to help address both external customer service expectations, and internal marching orders for efficiency.